With turbulence the leading cause of injuries to air travellers and airline crew, the Civil Aviation Authority of Singapore (CAAS) has launched a new safety campaign to remind holidaymakers to observe simple safety rules during flight. From ensuring that they are belted up even when the seat belt sign is switched off to making sure that the window shades are up during taxiing, take-off and landing, the authority - through its social media platforms - is also taking the opportunity to explain the need for such rules. For example, one reason why window shades must be kept up is so that passengers have a clear view of what is happening outside the aircraft. This will allow them to quickly alert cabin crew should they notice an emergency or anything out of the ordinary, for example, sparks coming out of the wing area. CAAS director of flight standards Alan Foo said: "While CAAS has many safety rules, it is important for passengers to also play their part." Turbulence, for example, can be sudden and severe, he warned, and there have been many cases of passengers injured in the event of turbulence. Mr Foo said: "In severe cases, passengers can be flung against the ceiling if they are not belted up." Travellers who think there is always time to belt up during rough weather, since it takes just a few seconds to do so, are wrong, he stressed. When clear-air turbulence, which cannot be detected, occurs and the aircraft drops by 100ft, there is no time to react, he explained. Turbulence, which can occur at any time and anywhere, is caused when there is a movement of two pockets of air, either vertically or laterally, at different speeds. This movement either pushes the aircraft up or down, experts say. 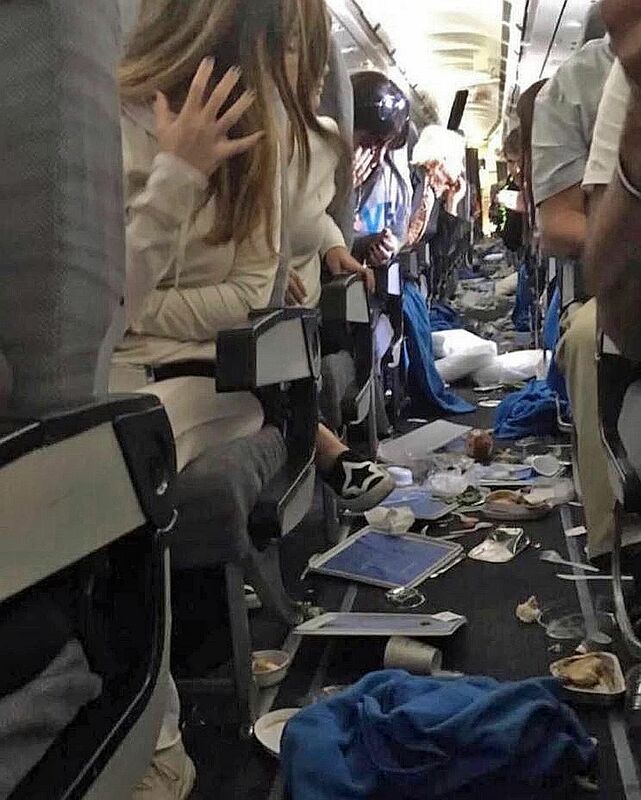 About a month ago, more than a dozen passengers were injured - and the interior of an aircraft left in ruins - after an Aerolineas Argentinas flight encountered severe turbulence between Miami, Florida, and Buenos Aires in Argentina. A spokesman for Air Line Pilots Association - Singapore (Alpa-S) said: "Because of global warming, the weather system is becoming more erratic and unpredictable, with stronger storms, for example." Increased air traffic results in packed airspace, thus raising the chance of encountering wake turbulence caused by nearby planes, he added. Turbulence is the leading cause of injuries to passengers and airline crew, said the International Air Transport Association (Iata). The global airline body is developing a database to provide real-time turbulence data to help pilots, flight dispatchers and meteorologists limit injuries that occur during in-flight turbulence encounters.